You are here: Home Web development What is the use of having a Content Management System for your website? 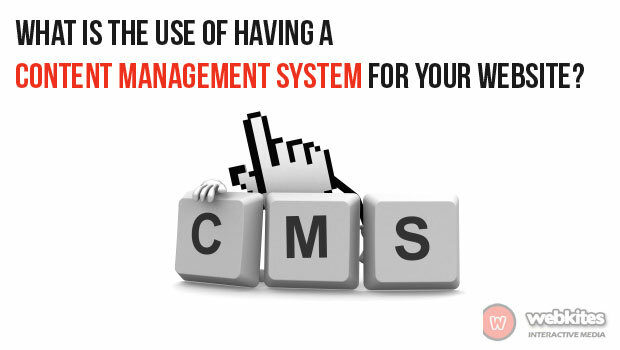 What is the use of having a Content Management System for your website? Content Management System is basically a product being installed on a web server. It allows managing of pages, articles, and blogs online without the need of storing them on your personal computer. It is especially handy when the data is in bulk and needs to be updated continuously. The data of your website needs to be updated more than once a month. You post blogs on your website. Non-web developers are given the responsibility of maintaining the website. In this case, CMS is going to help them. The content of website is to be managed from remote locations. The usage of CMS is a smart decision in all the above cases. Otherwise, a user can also opt for static sites. Content Management System is a smart way to manage the online content of the website. A few years back, it was a difficult thing to manage everything on your own. Now with CMS the things have changed. There are lots of CMS products available in the market. A user just needs to click on them and they are instantly downloaded for use. Just like their usage varies from one to another, their requirement too is not for all. Hence a user has to make sure of their requirement before going for one. Some may need a simple CMS for their use, a difficult one may make them confused when using. A more complex one may be the requirement of somebody who needs growth in their website content later in the future. Thus be sure about your future plans before choosing a CMS option for you. There are lots of free CMS too available in the market like Drupal, Mambo, Joomla and WordPress. They are usually sufficient to cater any individual’s basic requirement of website management. Although CMS available in market range from being free too few hundred dollars. They are used according to the user’s need and budget. Envision the direction of growth for your website. Match them with the plug-ins and add-ons available with the CMS you are choosing to make sure you are not stuck somewhere in the future. Check for the support community with it. It really helps in long run. It should have a learning curve and budget friendly. Be sure of the kind of website you want to create. Example: Company, Blog, Commercial, News, Educational, Entertainment, Forums etc. Unless you know the kind of website being categorized into, it will be difficult to choose correct the CMS for you. « What are the important aspects a quality website should have?